The lives of our children and youth are so different now than they were 30-40 years ago. I didn't have an Xbox or even a handheld game device, much less the Internet, but I think I had a really good imagination as did my peers. We had to! Without an imagination, we would have been bored out of our minds. I was bored my fair share of the time... car rides for example. That was a rite of passage in our era: No movies to watch, radio on your parents' favorite music, sitting in the back seat - or the back of the station wagon! I was pretty much a girlie-girl growing up. My favorite thing to do was to play "house." I loved my baby dolls! My favorite one was a doll I named Chrissy (I think it was spelled Crissy, but she was my baby). She had an auburn ponytail they called "growing hair." I loved that doll! I played "house" with her for hours on end. I got her when I was in first grade, I think. 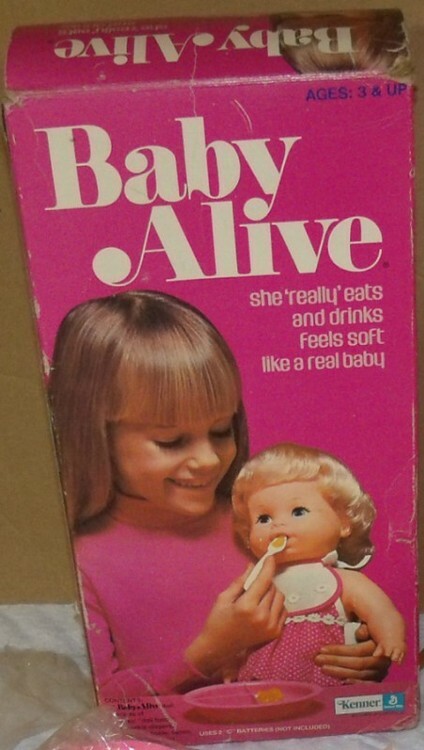 The last doll I got was a Baby Alive. 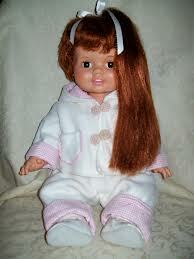 I think I was the only fifth grade girl who wanted a doll for Christmas that year. I loved feeding her, changing her, dressing her, and being her mommy. My second favorite thing to do was play with Barbies. 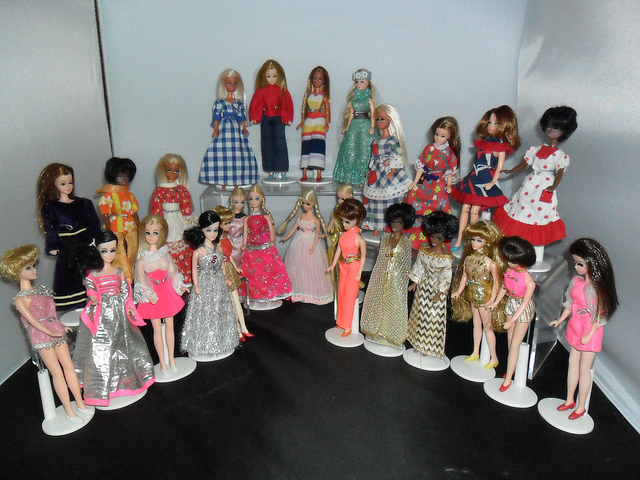 My favorite one was a Barbie with dark brown hair that flipped up on the ends. I had suitcases full of clothes and shoes. I had an old Barbie house, not one of the "Dream" houses they came out with when I had almost outgrown them. 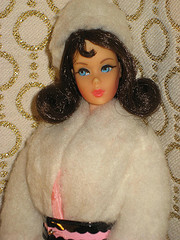 I also loved Skipper, expecially the one with ringlet pigtails and my "Dawn" dolls which were even smaller than Skipper. They had beautiful ball gowns! I also loved playing with paper dolls. I wonder how long kids today would be entertained with those? And I enjoyed playing "school" with all of my dolls. Maybe that's why I became a teacher, but the class I ran back in those days was so much better behaved than the ones I have now! It's so much fun taking a trip down memory lane. My students have been involved in state-mandated testing the last few weeks, but my children, my flesh and blood children, are in the season of entrance exams. They have already taken three, and have one more scheduled, maybe more depending on how they do. They are juniors, well, for at least a few more weeks, so we will be applying to colleges in about four months. I was shocked that they didn't do better on the ACT. I wish I had done more to help them prepare. If you're in the market for financial services test preparation materials, I would like to recommend Exam Zone, the exclusive marketing partner for the Pass the Test series. Pass the Test produces books, practice exams, DVD's, and audio CDs for the Series 6, 7, 63, 65, and 66 exams. Written in plain English, Pass the Test is designed to mimic the actual exam as closely as possible. If becoming a financial advisor is in your near future, I hope you'll check them out! Have you ever taken one of those "unofficial" personality tests? You know the ones... the ones that identify you as a color or a shape? I had the distinct "pleasure" (read with sarcasm) of attending a "delightful" professional development on Monday and Tuesday of this week. The only thing that made it worth my time was the personality test, which took all of ten minutes! I always thought I was a square! A Square is a hard worker, organized, a little stubborn, loyal, sequential, detailed, conservative, orderly, and logical. For the last day, I have thought of myself as a squiggle. Squiggles are easily bored, have lots of ideas, are creative and independent, and are always thinking of the next step. I never thought of myself as a circle. Although some of the traits fit, many do not. Circles communicate well, can't say no, are empathetic, have a difficult time saying no, and are better at caring for others than themselves. But I am not one who dislikes conflict or tries to make peace between others or one who is "too nice." At least, I don't think so. Come to find out... I think I am a triangle! Triangles are focused on goals, driven, need to know WHY, take charge, are outspoken, love to debate, dislike meetings, can be impatient, and are likely to say, "What's your point?" They also take charge and get things done. They see the "big picture." And they are usually confident. All this time, for years now, I have thought I was a square. But thanks to my totally-unrelated-in-any-way-to-personality-testing-College Board-workshop, I don't think so anymore. Have you tried taking this "quiz?" Most of you know that I am a school teacher. My local school district is having a bond election. Skip the next few paragraphs if you're bored with these issues, but please read the last part where I get to what is really gnawing at me. In addition to several board positions, the 367 million dollar bond includes182 million for school improvements in several building that are over 40 years old. I am so on board with that. It's desperately necessary. It also includes 87 million for school safety improvements, which I am in complete agreement with as well. However... they have lumped these improvements into the same bond as millions of dollars for extra-curricular needs. They are planning repairs on our agricultural facilities (not a bad thing), and replacing some musical instruments (also not a bad thing). But they also want to build a brand-new stadium because, apparently, the two "wealthier" high schools think they need a separate facility. In addition to this, there is 45 million to go toward technology. Part of this proposal includes purchasing tablet computers to issue to every student in grades 4 through 12. This is the part that is going to cause me to vote against the bond (not to mention that it will raise my taxes). Does a sixth grader, much less a fourth grader, who cannot keep up with a library book need to have a tablet computer issued to him or her? I can only imagine the issues we would have. Lost, stolen, and broken computers we would then have to replace. The parents won't be able to pay for them. The students who would more likely lose them are going to be those that wouldn't be able to afford to pay for them should something happen. And I can just imagine someone's parent or older sibling stealing the tablet and selling it for... gosh knows what!? I realize that technology is the way of the future, but I don't think we need to be there tomorrow. It takes time. I think they should have considered replacing teacher computers and the computers in our labs before they even think about issuing tablets to every student. It's just my personal and professional opinion based on years of experience in the classroom. I think the school district should have separated this into several bonds for the voters rather than lumping them all into one. They shot themselves in the foot by doing that. 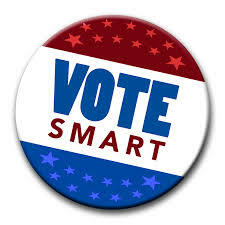 I also think the school district needs to make sure the voters are aware that our district is already in great debt. This will simply add to that debt instead of having our administrators and school board prioritize needs and manage things within our budget. Wow! Sounds a lot like our federal government, doesn't it? The biggest issue for me has been this... I feel FORCED to vote, and they have STRONGLY INFLUENCED us to vote FOR the bond. I plan to vote against it on principle. We have been bombarded with emails and phone messages, sometimes several per day. We have been offered incentives (nothing major, just casual dress for two weeks) for voting. We were told they would even cover our classes if we needed to go vote. Is that ethical? I think it's a conflict of interest. If I were sending political messages and/or offering incentives for voting, I would be fired. I do not think it's okay for them to inundate us with political messages and offer incentives for "talking up" the bond, which I won't do. What do you think?